Iran has filed a complaint against the United States at the International Court of Justice in The Hague due to the reintroduction of US economic sanctions. Foreign minister Mohammad Javad Zarif reported this on Twitter. 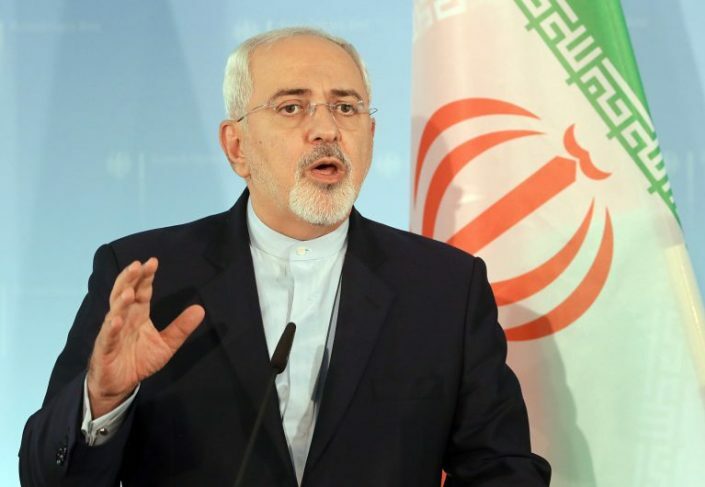 The purpose of the complaint is “to have the United States accountable for the unlawful reintroduction of unilateral sanctions against Iran,” the Minister said. According to the ministry, the complaint is directed against the US for “violating their international obligations, more specifically the 1955 American-Iranian friendship treaty”, a text that has repeatedly been invoked in the past in disputes between Tehran and Washington, International Court of Justice was called. Iran and the US have no longer held diplomatic relations since 1980. US President Donald Trump announced on 8 May that the US stepped out of the nuclear deal with Iran in 2015 and would extend US sanctions against the Islamic Republic. The agreement, which was concluded in Vienna, brought Iran out of its isolation by lifting part of the international economic sanctions against Tehran in exchange for a drastic restriction on the Iranian nuclear program and Iran’s promise that it would never be the development of a nuclear weapon. The reintroduction of the US sanctions that had been suspended following the Vienna agreement would take place step by step from August.